Two retailers Sparks & Mensers and Snosburys (you see what we did there!) 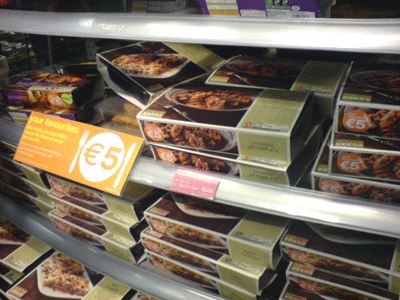 are buying ready meals from your factory. They have very specific requirements and working with their detail your participants have to plan and produce the deliveries for 1 day. What follows is a scramble to understand and digest LOTS of information, assign priorities, assign (or not) team roles and deliver the information and decisions required to produce the plan. In the past we have chosen to add to the core product competitor analysis, market research activity and a more hands on “create your own” session but only for packaging – not cooking!